The Amazing Money Reiki Healing Energy Meditation aligns you with the Spiritual Energy of Money so that you are vibrating in resonance with the money you desire. The soothing meditation also de-stresses you and releases anxiety around money and money issues. This is a "light altered state" meditation . As you relax and listen, your energy is tuned to the vibration and energy of money. Old beliefs you may have held around money are transcended and fall away. You feel yourself literally vibrate with the joyful Money Energy flowed through you by this powerful yet relaxing recording! User results demonstrate without a doubt that shifts in your money attractiveness begin to take place immediately! Some even call it Money Magic! I must admit something happened! A little history: I own a computer security company that sells locks and cables, alarms, privacy filters, etc. basically theft deterrents to corporations, college & universities, government...B2B. I cannot tell you that business has been fantastic, so I won't. After listening for 3 days, a potential new customer that I have been talking to for a couple of months asked me for a quote. I was floored by his request. The total order is double the amount of business that we would receive in one month when business is flourishing. Then yesterday we received six orders that totaled, in dollars, twice the daily amount, again that we receive when business is hot. One of the Twitterers I follow is @allaboutenergy (Amy Flynn) and one of her messages I saw there interested me. When I clicked on the link for the Money Reiki Healing Meditation, it resonated. I don't think I'm so different from others with respect to finances. I felt stuck. Money seemed to elude me. Even though I made every effort to do a good job with money, it was an ISSUE in my life. I WAS stuck. Hearing the lovely meditation was a delight but I did not see lightning bolts. I went about my business, seemingly untouched. The next morning, I awoke after sleeping deeply all night, feeling as if I had been transformed into an energy machine. I came to the computer and discovered orders from clients! And the orders continued to arrive as this new day rolled on! Where I had felt stuck I now experienced hope and freedom and creativity! Since that initial experience, I have noticed that more concrete people connections have popped up and my relationships are richer; I can DEPEND on cash being where I need it to be; I can KNOW that my PayPal account will support my expenses. The Money Healing addressed far more than a “greenbacks issue”-every aspect of my life has been impacted and enriched. Whenever I hear my self talk getting sour, I make the time to plug into the Money Reiki Healing Meditation ASAP. The checks I continue to find in my mailbox prove to me the value of the meditation and its results! What the money healing has done for me is nothing short of miraculous. This is something that could benefit anyone. Exchanging a small sum of cash for the healing I have received is remarkable. I have a grateful heart, I am filled with hope, and now, healed from money issues, I am fully prepared to attract the money I feel will enhance my life. MONEY was still eluding me. I kept reading stories of how people had intended to get checks in the mail and all of a sudden received large amounts of unexpected money... I just didn't know what I was doing wrong. Since listening to the meditation the first time...and receiving the energy through the audio and then the included Money Reiki Healing session, I can't believe the transformation my business is taking. I've gained new clients, I've started branching out. I've got ideas coming out of nowhere and they're working when I put them to use. It's been the most amazing transformation! If it wasn't for this Money Reiki Healing Meditation I don't think my business would be where it is today just a few short weeks after hearing it the first time. I promise you will feel this Meditation and enjoy it's relaxing effects and powerful results! Everyone's results naturally differ and your immediate results may not be as extreme as these, but you will have results! You will feel more peaceful, less anxious about money, more joyful and more grateful. The vibrational frequencies of peace and joy and gratitude are aligned with the vibrational frequencies of money and abundance so you will attract money to you. You are guided through bringing in cleansing healing energy while Money Reiki Healing is channeled to you. You are actually sent Money Reiki Healing in the meditaton. The whole recording is charged with Money Reiki Healing energy too! You'll feel it! Bottom line is it works! The Money Reiki Healing Energy Meditation may be used daily. I do not recommend using more often than once per day, it is very powerful! You may find that using it one, two or three times per week is more than adequate. The Money Reiki Healing Meditation can be used either by itself or after experiencing and to complement a Free Money Reiki Healing, an expanded Money Reiki Healing or a Money Reiki Attunement. I also got calls from two potential clients today and several possible streams of income have made themselves known. And, probably the most important thing of all, I'm not worrying about money 24/7. I just finished listening to the Money Reiki Meditation. It was AWESOME! But you already know that. I felt the energy pulsing through my veins and it felt like it was bursting through blocks in my left arm and left leg. When you were quiet and sending the energy my eyes were closed but I could see shapes flashing like I was looking at a kaleidoscope. I saw a bright burst of light, then a star, there was a kind of mushroom looking shape and there were a couple more I can't really describe. They flashed repeatedly in the same pattern. I felt my vibration rising. Also, some very interesting opportunities have come about for me financially. Friday morning at 9am I'll be on the radio doing an interview about my massage company. It's 1 hour long and I'll be talking about why I became a massage therapist and why I created Ellery's Touch- Luxury Massage Experience! I'm very excited. I'm not usually much of a talker. I'm more of a listener. But I couldn't pass up this opportunity! Very deep and intense energy flow + reprogramming in both meditations. THESE VERY SPECIAL BONUS GIFTS! 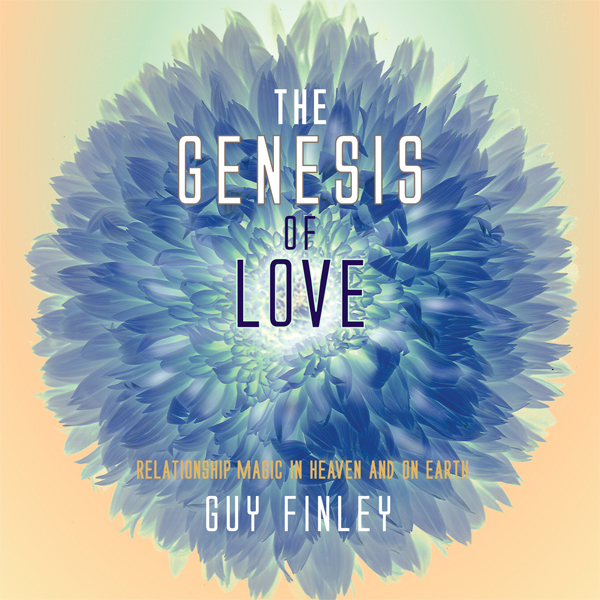 The life-changing 6-hour MP3 audio program The Genesis of Love from best-selling author Guy Finley. Learn to use Love's boundless energy to revitalize and deepen your relationships, release old limitations, and integrate all of your desires into a single creative force whose fearless nature is unstoppable. BEST-SELLING author Guy Finley's encouraging and accessible message is one of the true bright lights in our world today. His ideas go straight to the heart of our most important personal and social issues -- relationships, success, addiction, stress, peace, happiness, freedom -- and lead the way to a higher life. Finley is the acclaimed author of The Secret of Letting Go, The Essential Laws of Fearless Living and 35 other major works that have sold over a million copies in 18 languages worldwide. In addition, he has presented over 4,000 unique self-realization seminars to thousands of grateful students throughout North America and Europe over the past 25 years and has been a guest on over 400 television and radio shows, including appearances on ABC, NBC, CBS, CNN, NPR and many others. He is a member of the faculty of the Omega Institute and a daily contributor to Beliefnet. Guy Finley is Director of Life of Learning Foundation, the non-profit self-realization school in Merlin, Oregon. Please enjoy this beautiful and generous gift from Guy! 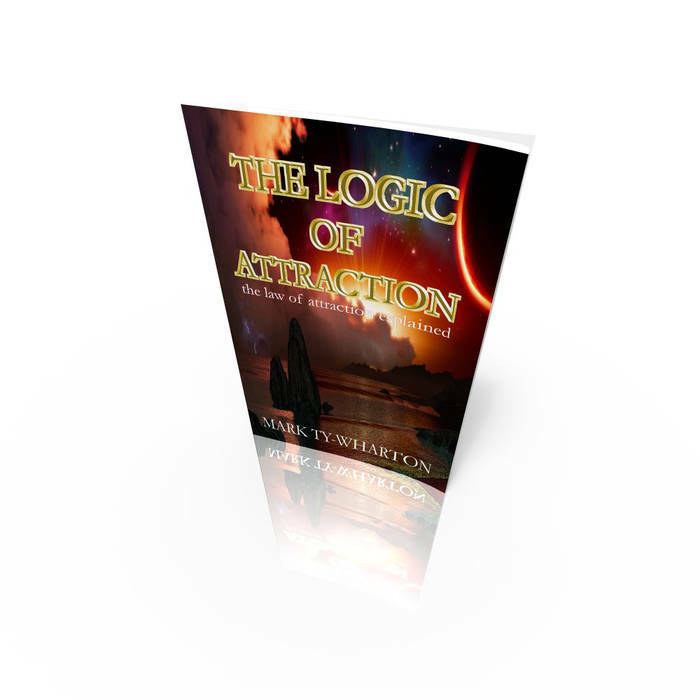 Author, inspirational speaker and former sound engineer for Duran Duran, Mark Ty-Wharton is making his recent book "The Logic Of Attraction" available as a Bonus with all purchases of of the Receiving Meditation. Mark is an avid user of the Receiving Energy Alignment Meditation; you can view his testimonial above. Here is a recent newspaper article on Mark http://thelogicofattraction.com/HuntsPost.jpg . He is a unique individual whose unique abilities (Mark has Asperger Syndrome) allow him to see deeply into what works and what doesn't. Now he's sharing his experiences with attracting a life he loves and does amazing things in. Mark was an integral part of Duran Duran's sound for over a decade, he's found his soulmate, has a beautiful family, does what his heart desires and lives in his dream home. One of the key aspects to having Asperger Syndrome is Mark's ability to laser focus on any given subject and study it at a depth not accessible to those without Asperger's. This ability to focus is the great gift of Asperger Syndrome, and is the reason why a great number people with Asperger Syndrome have become gifted scientists, artists and musicians. Unlike many with Asperger's Mark has the ability to bridge two worlds and communicate his insights. Many amazing people are thought to have or have had Asperger Syndrome, Thomas Jefferson, Andy Warhol, Albert Einstein and Bill Gates to name a few. Enjoy this special gift from author Mark Ty-Wharton. Please enjoy relaxing with this beautiful meditation from Carol. EVEN MORE Experieces and Results from Regular Users Just Like You! "I have used the Money Reiki meditation on MP3 twice now and both times had an amazing experience with it. I felt so relaxed and felt the energy flowing strongly as a kind of electrical vibration moving down my body. It was very pleasant and felt comforting and also energizing when it was finished. A couple of days after my first use of the recording, a $700 check arrived from a totally unexpected source! Well, my second use was today and already I have signed on a new customer for about 4 times more than I expected her to spend. Wow! I can't wait to see what will happen after my next use!" ~ Arlene H. Pennsylvania US. Talk about attracting abundance - our friends from Holland sent money a few years back to purchase for them a motor home that they could use every year on their summer "holidays". When we told them about our decision to leave Arizona, they just GAVE us the RV to keep! Amazing! Surely a result of the Money Reiki meditation. YES - I still use it regularly. It's fabulous! It helps me go into such a deep, meditative space - and i feel so much better after listening to it. I love it! And I love my shirt!! I plan on wearing it often during our trip too! 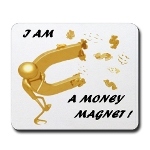 Get your own Money Magnet Shirt infused with Money Energy at http://FunStuff.MoneyReikiHealing.com ! The first thing I noticed was a warm feeling in my chest. It was the same area where I had held my stress, but it was not the same feeling--this one was good! From there it moved up into my face and I felt the same pleasant sensation in my sinus area that I had during the group session. Suddenly there was a very bright white light. It shocked me actually, and kind of jumped. Then a few minutes later you said that the energy you were sending was a bright white light. Interesting! It was all very good and relaxing -I was grateful that you brought us back out of the deep relaxation, because I did NOT want to leave! Anyway, here's the best part: Within 2 hours of completing the meditation, I FOUND $60! (It was in an envelope in an old box in my basement.) ~ Margie, Alexandria, Virginia, US. 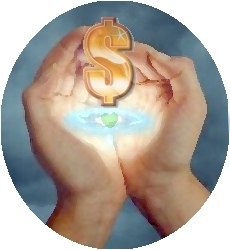 I've just listened to the Money Reiki Healing MP3 that I got from you. I have to be honest I haven't listened to it in forever and my finances show it..
Then as "YOU" were sending the healing I had a HUGE vision in my mind...one that I am really excitedly giddy about...I had a vision of being asked to become an affiliate manager for a BIG company... and was offered a very lucrative contract with them of $100K+ per year plus affiliate commissions.. but a guaranteed $100K+. .... I'm shaking from this "vision" literally.. I can't explain what I am feeling right now but I LOVE IT!!! "Very nice. I saw my third eye staring back at me and lots of purple. I saw the white light coming in and lots of deep purple blobs floating around me. It was very nice when you said that the golden white reiki energy of money was flowing into us. I could see and feel it. I felt lots of stuff going on, in and around my head. I also felt more relaxed."